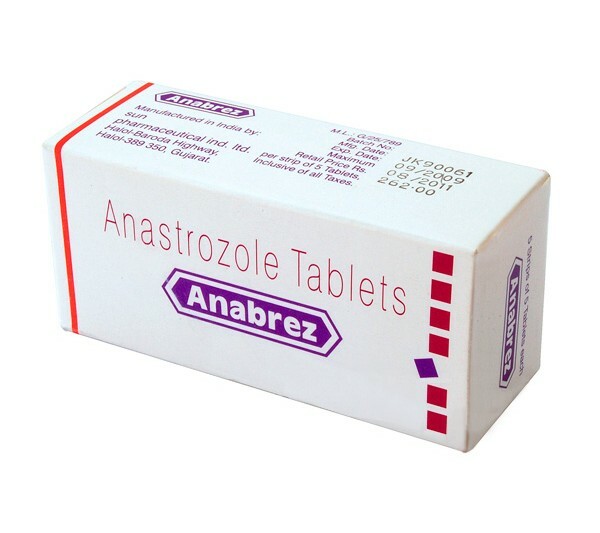 Anastrozole is a fairly strong and powerful drug whose main activity is to suppress the production of large amounts of estrogen in the male body, increasing testosterone production. He is now very popular among athletes bodybuilders, because not only does not oppose the production of testosterone, but also removes unnecessary amount of water from the body, thereby providing a beautiful and clear relief. If you take certain anabolics for a long time, you may end up with the problem of an increase in the mammary glands, which is not typical for men. Anastrozole suppresses these processes, it is very confident and effective in fighting feminization. Using the drug regularly and daily in the morning, you can not only improve your athletic performance in bodybuilding, but also adjust your health, increase strength and energy for training. The dosage for each person is individual, it is worth paying special attention. Anastrozole can be taken not only to increase performance, but also for the regulation of physiological processes. Take Anastrozole can be in free form, there are no clear instructions for use before or after meals. But experts for a stronger effect are recommended to take the drug on an empty stomach in the morning, because in this case it will be better absorbed into the blood and absorbed by the body. Anastrozole very effectively suppresses aromatization. The most interesting thing is that taking the drug is necessary not only for men, but also for some women. There is a lot of testimony, this substance can still be called a universal assistant for all athletes who are striving to show good results as soon as possible and achieve sports success in bodybuilding. Increasing the amount of hormones in the blood. Anastrozole can be taken both as a treatment and as a prophylaxis. Dosage depends on the purpose. As a prevention, it will be enough to take half a pill a day, its contents will allow you to get rid of unwanted flavoring. In order for Anastrozol to give the desired results in bodybuilding, after 10 days from the beginning of the course of taking anabolic steroids, it is necessary to do an analysis for estradiol, after which an average dose of Anastrozole 0.5 mg per day is prescribed. If enanthate or sustanon is contained in the course of anabolic steroids, then the timing of the tests should be slightly changed, they are given after 3-4 weeks from the start of steroids. If you regularly monitor you somewhat problematic, then you need to determine for yourself the average dose, and then focus on your own feelings. You will immediately feel if the body will fail. After this, changes can occur in mood, occur in total apathy to everything, in worsening of prolonged erection and decrease in sexual desire for any partner. Like any other drug, Anastrozole can provoke small changes in the body and side effects, this can not be avoided, but you need to be ready for them. If, in moderate doses, use Anastrozole, it will not provoke any negative points. The formation of protective reactions. Deterioration in overall sports performance.